Just as the polls are tightening in Florida for both the presidential race and the Senate race, prospective Senate Majority Leader Chuck Schumer from New York insists upon cutting funding for the Florida Senate election. Retiring Senate Minority Leader Harry Reid from Nevada wants to spend more money in the Sunshine State. Incumbent Republican Senator Marco Rubio is running against Democratic challenger Patrick Murphy in a close contest. Earlier this year, Marco Rubio dropped his 2016 re-election campaign in favor of a presidential run. Throughout the Republican primaries, Marco Rubio won a single state – Minnesota. 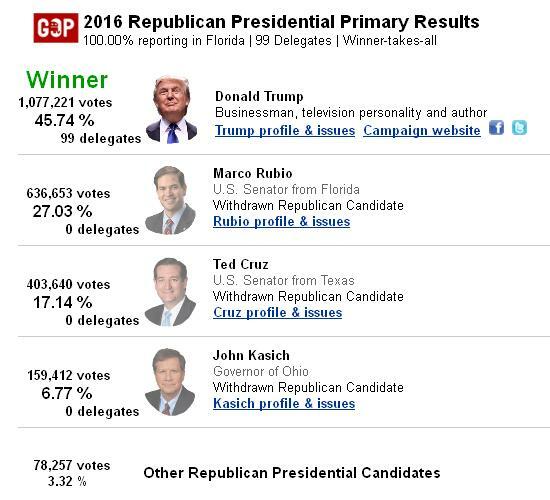 Marco Rubio could not even win his home state primary – he lost Florida to New Yorker Donald Trump 46 to 27 percent. After giving up his presidential campaign, Marco Rubio changed his mind and decided to run for Senate again. This is not the first time that Democratic leaders have failed to back the party candidate competing against Marco Rubio. 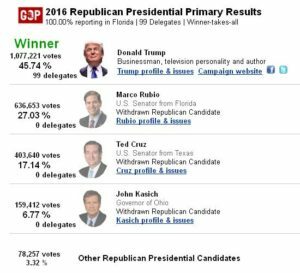 In 2010, Marco Rubio was a fairly weak “Tea Party” candidate running for an open seat. Kendrick Meeks won the Democratic primary, but rather than support its own candidate, some establishment Democrats supported the “independent” former Republican Governor Charlie Crist. Marco Rubio won the election with just under a majority of the vote against two other candidates. The public reason that Chuck Schumer prefers to spend money on other Senate races was described by CNN. “The goal is to win back the Senate, and with limited resources and seven or eight other races that are just as close or even more likely for Democrats to win, it’s hard to find the resources for a state as big as Florida,” a source familiar with the decision-making process said. While Schumer may have a legitimate justification, there is another way to see this. Marco Rubio has indicated strongly that he supports the latest version of the George W. Bush war doctrine. In the primaries, he made it perfectly clear that he wants a “new American century” – precisely the words of think tanks that support the Bushes. Marco Rubio is being held in the background for another presidential run either in 2020 or 2024, with establishment Democrats helping him. Hillary Clinton has earned their support with hawkish activities. Hillary voted for the 2003 Iraq war escalation based on plain lies. Hillary backed the Bush agenda by attacking Libya to disintegration. Hillary wants a no-fly-zone in Syria to pit American and Russian forces against each other. That is quite a Republican resume. Colon Powell has now signed on to support her. Chuck Schumer has quite a neocon pedigree himself. He supported the 2003 Iraq escalation. More recently, he opposed the Iran deal. Chuck Schumer was given a totally free win in his own Senate re-election campaign, as nobody put up serious competition. Hillary’s husband Bill Clinton and current Democratic Senator Bill Nelson from Florida disagree with Chuck Schumer. They want to keep more money in Florida. On the other side, Donald Trump gained credibility by opposing wars. His primary debate attacks on Jeb Bush about Iraq are legendary. Apparently, neocons believe his anti-war rhetoric. Or do they? Neocons may simply be reading the demographic writing on the wall – trying to save their war agenda and the Republican Party for the future by appearing to oppose what Hillary Clinton notoriously described as the “racist, sexist, homophobic, xenophobic, Islamaphobic” mindset of Donald Trump and “half” of his supporters. Neocons have it good right now. In 2016, they are scoring points of relative moderation with women and non-white voters and building partisan credentials in the Democratic Party – while helping to save the Republican Party against a demographical time bomb. Well, he has either got to do something or not do something, perhaps, because perhaps shouldn’t be doing it yet and perhaps we should be waiting for the United Nations, you know,” Trump said. “He’s under a lot of pressure. I think he’s doing a very good job. But, of course, if you look at the polls, a lot of people are getting a little tired. I think the Iraqi situation is a problem. And I think the economy is a much bigger problem as far as the president is concerned. PolitiFact found this quote and others to be too vague to count as ‘against’ the invasion before it took place. Fox News broke the quote into little pieces to find a part that “backed up” Donald Trump’s claim. While the Iraq war statement can be twisted to support partisans both ways, it is harder to play politics with this: Donald Trump promoted the Libya war emphatically. UPDATE: The official video at the Trump Organization page was removed. With these two candidates, the United States is undergoing yet another shift of the political spectrum toward the conservative side. By 2000, with the media now consolidated more than ever before, the son of a discredited former White House occupant was able to take the White House back for a more conservative agenda – accelerating tax cuts, deregulation, and wars. Now, it is 2016 and top Democrats are moving to fill the space that George W. Bush held while the Republican Party itself heads even further right. They call this the “alt+right,” but there is nothing “alt” about it. The alt+righters are plain old reactionary Republicans – people looking to take a trip back to the days of Joe McCarthy before all of the civil rights gains of the 1960’s and beyond. When the threats of invasion or terrorism escalate, these alt+righters will not mind the wars. Many will support or tolerate them as long as the domestic agenda goes their way. Regardless of the winner of the 2016 election, 2020 is looking good for Marco Rubio. In a Donald Trump administration, economic policies would be profoundly more conservative with additional huge tax cuts and extended campaign funding deregulation. However, Donald Trump cannot be expected to avoid wars. Further, he could only delay the TPP – not end it. Wars or no wars, the economic powers of elite war supporters would increase. Those powers would resume or continue pushing wars and recreate a trade deal like TPP. There may be a backlash against Donald Trump by Republicans. Senate candidates have no problem flip-flopping to protect their own futures, and they would do so again – by blaming Donald Trump for anything that goes wrong. Then, they would run an establishment character to take the party back. In a Hillary Clinton administration, economic policies would be less conservative but war policies would be expansive. The “base” would be furious. Republicans in the House and Senate would continue opposing just about everything Hillary Clinton suggests. The press would resume its usual attacks against Hillary Clinton. The Senate, assuming a Democratic win in 2016, would revert back to Republican control in 2018. In either case, a more conservative choice is likely in 2020. Marco Rubio could run for president again in 2020. After four years of Hillary or The Donald, Marco Rubio might look relatively good in a race against the incumbent. Political paradigm shifts further toward conservatives. The point of this article is not to predict all of these things will happen. The point is to see this trap far in advance to spur any change of course possible over the next four years.